What is the Mormon Position on Homosexuality? The official position of the Mormon church is that sexual relations are reserved for partners in a heterosexual marriage. 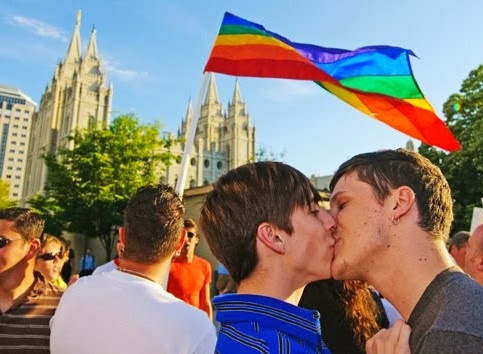 In Mormonism, God’s entire plan of happiness for mankind is framed in the context of heterosexual marriage. This means that, by definition, there is no room in the Mormon church for gays and lesbians to be themselves in every way. The Mormon church is known for its activism against equal rights for non-heterosexual people, an activism that was previously targeted at equal rights for women (1970s) and blacks (1950s-1960s). Within this stigmatizing framework, the Mormon church proclaims that gays and lesbians are welcome to participate in all church activities.